Like clockwork, they....THE DEER...come to your yard for their daily meal. It's like saying "Buffet! - All you can eat!" Sooner than later you are growing tree trunks and spindly sticks that used to be shrubs and trees. Denny Wigger's can be there to spray your trees and shrubs with our specialized organic deer spray that is chemical free and poison free so that it is safe around pets and children. As a homeowner living in the northeast it can be challenging enough considering our weather conditions let alone the economy. So spending money on your landscape you will want to make sure that what you plant will not get eaten up, literally. The deer population has exploded and real estate has cornered them into any wooded area that they can find and if not, it's your backyard. But you don't want Bambi and friends to make your outside investment into a buffet. 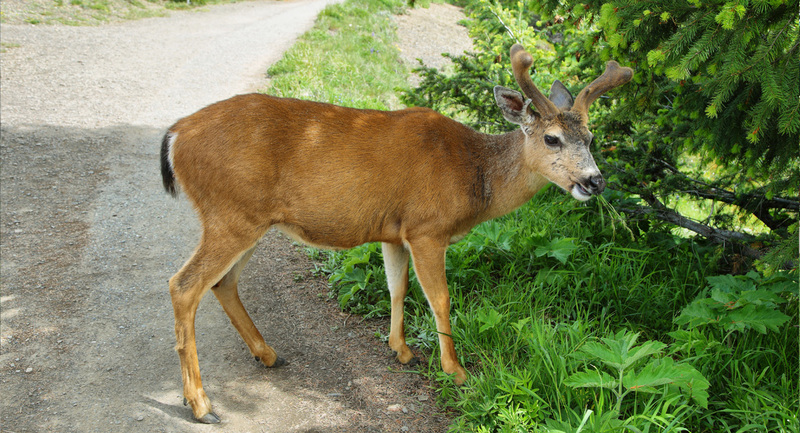 Watch Denny giving you some tips on Deer Resistant trees, plants and shrubs. Call 201-444-0155 and our expert staff will be glad to assist you.